A driver briefly was blinded from the sunlight, causing him to make contact with a pedestrian crossing in a crosswalk on Wagner Avenue in Greenville. GREENVILLE – A pedestrian was injured Tuesday evening after being struck by a vehicle while crossing Wagner Avenue. 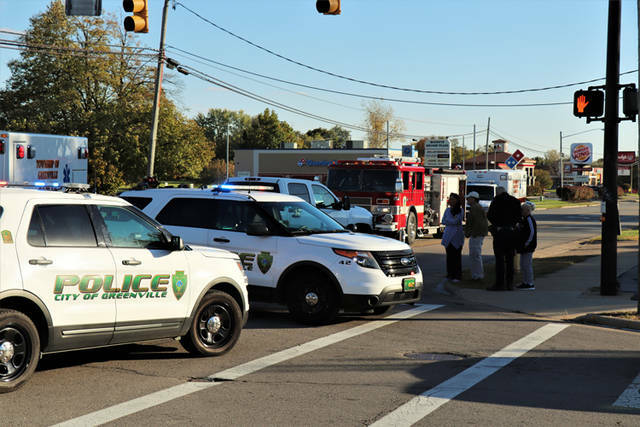 At approximately 5 p.m., emergency personnel from Greenville City Fire Department and Greenville Township Rescue along with officers from Greenville City Police Department were dispatched to the intersection of Rhoades and Wagner avenues in regards to a pedestrian verses vehicle accident. According to the Greenville Police Department, a white Chevy Silverado was exiting the private lot at the corner of Rhoades and Wagner avenues, headed westbound and attempting a left hand turn onto Wagner Avenue. The driver briefly was blinded from the sunlight, causing him to make contact with a pedestrian crossing eastbound in the crosswalk. 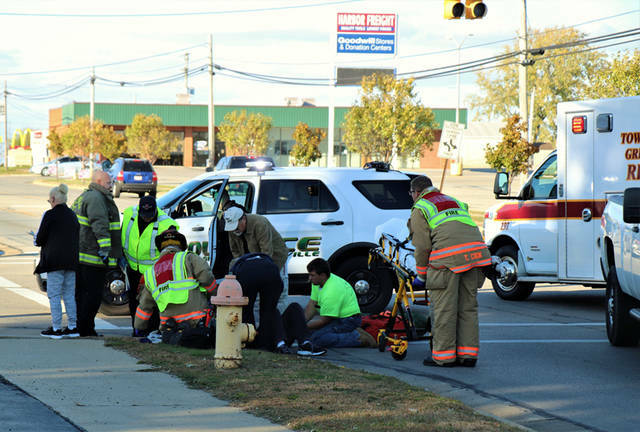 The male pedestrian, whose name and age is unknown at this time, was treated by Greenville Township Rescue at the scene before being transported to Wayne HealthCare for what was described as possible neck and back injuries. The driver of the pickup truck was not injured in the incident. This entry was tagged crash, Greenville, Greenville City Fire Department, Greenville City Police Department, Greenville Fire Department, Greenville Police Department, Greenville Township Rescue, Pedestrian, Wayne HealthCare. Bookmark the permalink.